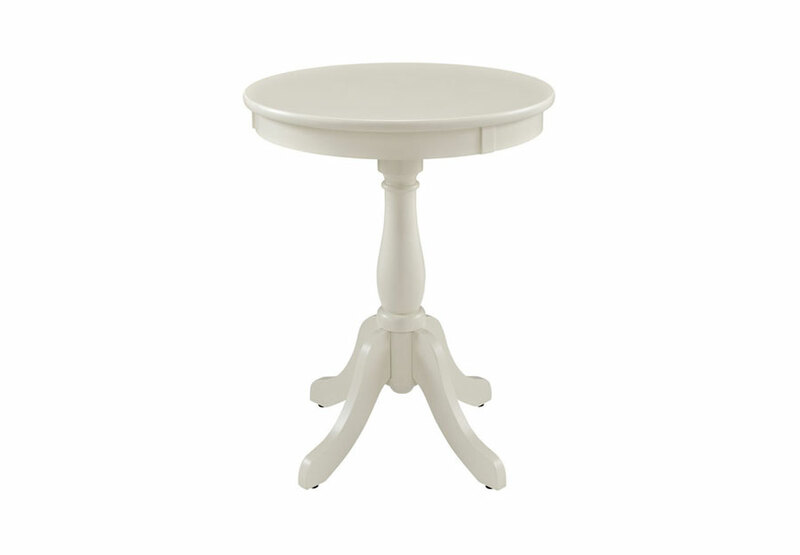 The Round White Accent Table is a convenient accent for any room of your home. The spindle style base adds interest to the simple design. Made of select hardwoods and solid wood materials, the contemporary styling of this table has a bentwood skirt and four saber cabriolet tapered legs.